Chief Executive Boards Blog: The Bezzle -- Is it Happening in Your Company? The Bezzle -- Is it Happening in Your Company? 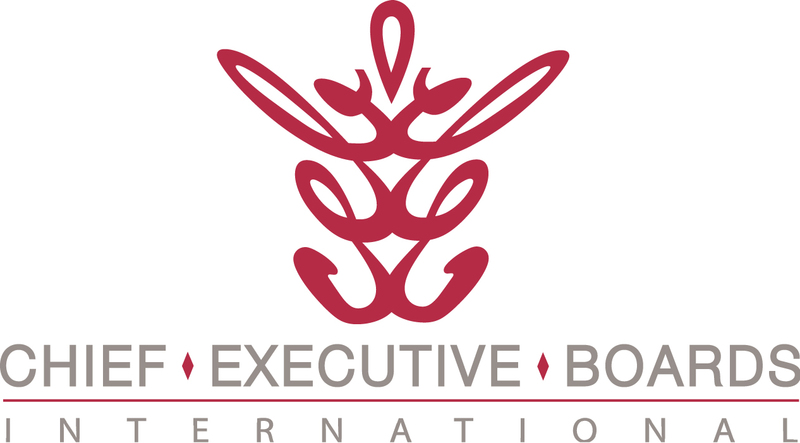 Members of Chief Executive Boards International meet regularly to share ideas, observations and concerns. Curiously, something that ISN'T on most business owners' or CEOs' radar screens is employee theft -- generally charged (if prosecuted) as embezzlement. Some business owners regularly review their internal controls to be sure they have precautions in place to prevent or discover employee theft. Most don't. As a result, they're surprised and angry when an employee theft comes to light. One of the more sophisticated embezzlement schemes of recent memory is the Enron scandal. Enron execs "stole" money from investors in a surprisingly simple scheme. They conspired to falsify company results in a web of interlocking businesses -- each one reporting "profits" from selling things back and forth between each other. Investors, believing they were buying into a high-performance energy company, provided plenty of capital, bidding up the stock price. As the deal began to unravel, Enron execs, who had generously awarded themselves low-priced stock options, cashed in and pocketed the money. The company collapsed and employees, investors, suppliers and bondholders were victimized. A more recent example, perhaps the granddaddy of embezzlement, is the Bernie Madoff scandal. Bernie stole money from investors in a Ponzi Scheme -- taking money from investors, and pocketing it himself (where in the world has he hidden $50 billion??). He embezzled from his own company, thereby stealing from his investors. A fox watching his own chicken coop. As that tale unravels, it appears he also paid his accomplices well -- New York has just charged the former chairman of GMAC Financial Services with civil fraud. Apparently he was receiving a commission of roughly 20% on funds he channeled to Madoff from his wealthy clients. And he didn't think that was unusual?? And, finally, the "creative" investment vehicles of this decade, including securitized mortgages and derivatives, permeated the financial services sector, accounting for the depth and breadth of this recession and the resulting stock market decline. And, distressingly, so "creative" and complex were these schemes that even the institutions promoting them didn't seem to understand them. Madoff and the Enron execs were out-and-out thieves. The crooks in a pyramid that securitized bad mortgages stretch all the way out to the brokers who falsified borrowers' incomes on loan applications -- it's going to be tough to round all those guys up. A recent article on National Public Radio tipped me off to the curious coincidence of timing in the two blockbuster embezzlements (Enron and Madoff) coming to light -- an economic downturn followed by a stock market selloff -- Enron in 2001 and Madoff in 2009. The article pointed out that John Kenneth Galbraith identified this segment of a market crash as "The Bezzle" in his 1954 book The Great Crash of 1929. The Bezzle is the period in a market downturn when embezzlement comes to light -- when the laws of gravity are restored and there's no longer upward market momentum bringing more victims in to reassure (and bail out) the prior victims. "To the economist, embezzlement is the most interesting of crimes. Alone among the various forms of larceny it has a time parameter. Weeks, months, or even years may elapse between the commission of the crime and its discovery. (This is a period, incidentally, when the embezzler has his gain and the man who has been embezzled, oddly enough, feels no loss. There is a net increase in psychic wealth.) At any given time there exists an inventory of undiscovered embezzlement in -- or more precisely, not in -- the country's businesses and banks. This inventory -- it should perhaps be called the bezzle -- amounts at any moment to many millions of dollars. It also varies in size with the business cycle. "In good times people are relaxed, trusting, and money is plentiful. But even though money is plentiful, there are always many people who need more. Under these circumstances the rate of embezzlement grows, the rate of discovery falls off, and the bezzle increases rapidly. In depression this is all reversed. Money is watched with a narrow, suspicious eye. The man who handles it is assumed to be dishonest until he proves himself otherwise. Audits are penetrating and meticulous. Commercial morality is enormously improved. The bezzle shrinks." One thing that a recession flushes out is The Bezzle -- there's no place to hide and the perpetrators are run out into the open. You may have been damaged by the Enron fraud. No doubt you've been damaged by the recent meltdown of financial institutions, leading to a credit crunch, leading to a stock market selloff. Perhaps you're more damaged than you think. If Galbraith was right, the "inventory of undiscovered embezzlement" may extend into your own company. Somebody may be stealing, and it's most likely discovered when you dive into the books yourself to look for the profit leaks in a weak year. Even if you didn't find any evidence of embezzlement, do consider a financial controls audit -- it could be good insurance against the next cycle, when you become "relaxed, trusting, and money is plentiful." If you've found an employee theft scheme that you're willing to share, please click on "Comments" below and share it with us.